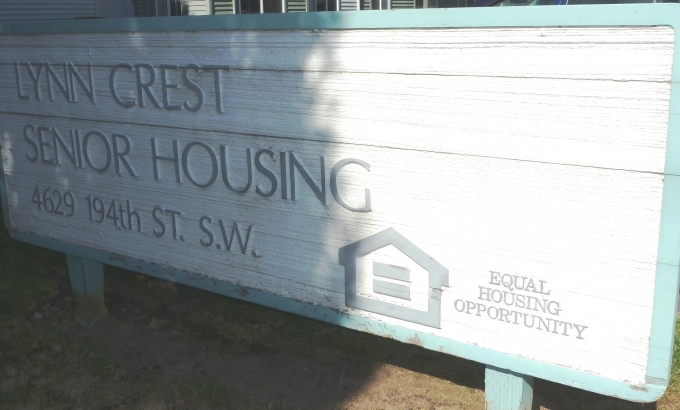 There are 141 low income housing apartment complexes which contain 11,378 affordable apartments for rent in Snohomish County, Washington. 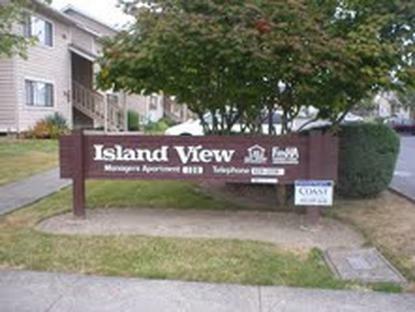 Many of these rental apartments are income based housing with about 2,652 apartments that set rent based on your income. 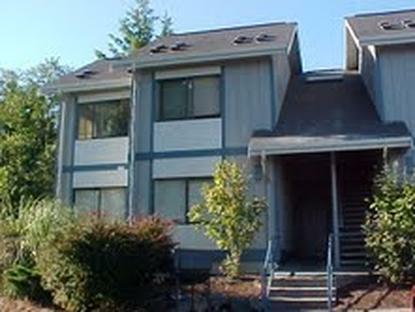 Often referred to as "HUD apartments", there are 882 Project-Based Section 8 subsidized apartments in Snohomish County. There are 8,596 other low income apartments that don't have rental assistance but are still considered to be affordable housing for low income families. Snohomish County is a County in Washington with a population of 746,653. There are 274,766 households in the county with an average household size of 2.68 persons. 34.03% of households in Snohomish County are renters. The median gross income for households in Snohomish County is $70,722 a year, or $5,894 a month. The median rent for the county is $1,153 a month. Affordable housing program eligibility is always determined by one's income. Each household's income is compared to the incomes of all other households in the area. This is accomplished through a statistic established by the government called the Area Median Income, most often referred to as AMI. The AMI is calculated and published each year by HUD. Most affordable housing programs determine eligibility based on the percent of AMI a given household's income is. Among the programs that determine eligibility based on the AMI are Section 8, HOME, LIHTC, Section 515, 202 and 811. Rental assistance is a type of housing subsidy that pays for a portion of a renter’s monthly housing costs, including rent and tenant paid utilities. This housing assistance can come in the form of Section 8 Housing Choice Vouchers, project-based Section 8 contracts, public housing, USDA Rental Assistance (in Section 515 properties) as well as HUD Section 202 and 811 properties for elderly and disabled households. The Low-Income Housing Tax Credit (LIHTC) program aims to create affordable rental housing for low and very low income families. 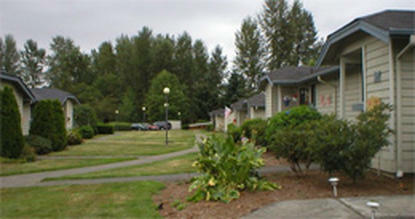 From 1987 to 2009, 59 low income apartment communities containing 6,171 rental apartments have been constructed and made affordable to low income persons in Snohomish County by the Low Income Housing Tax Credit Program. If your income is less than 60% of the Area Median Income (AMI), you should not expect to pay more than the rent value for a unit in the table below. However, Affordable apartment communities that receive funding through the Low Income Housing Tax Credit program may have rental units that are not subject to income and rent limits. Rent limits for the LIHTC Program are determined so that a household making the maximum income for the expected household size of the unit would only pay 30% of their income for rent. For example, the expected household size for a two bedroom apartment is 3 people. Using the table above, the maximum income for a 3 person household at 60% of the AMI in Snohomish County is $57,780 a year, or $4,815 a month. To determine the maximum rent in the table below we multiply the monthly maximum income, $4,815 by 30% to get a maximum rent of $1,445 a month. Rent for units in the LIHTC Program include a utility allowance which is determined by the average monthly cost of utilities paid directly by residents. This allowance has not been subtracted from the rents in the table below. These utility allowances are set on a property by property basis. Fair Market Rents, often abbreviated as FMR, can be used to better understand the average housing costs of an area. Notably, Fair Market Rents are used to establish the payment standards for the Housing Choice Voucher Program, maximum rents in HOME financed rental projects and initial rents for Section 8 project based assistance. Select A City to View its Apartment Communities and Waiting Lists. Everett 53 The HUD funded Public Housing Agencies that serve Everett are the Everett Housing Authority and Housing Authority of Snohomish County. Lynnwood 23 The HUD funded Public Housing Agencies that serve Lynnwood are the Housing Authority of Snohomish County and Everett Housing Authority. Monroe 8 The HUD funded Public Housing Agencies that serve Monroe are the Housing Authority of Snohomish County and Everett Housing Authority. Marysville 18 The HUD funded Public Housing Agencies that serve Marysville are the Housing Authority of Snohomish County and Everett Housing Authority. Lake Stevens 9 The HUD funded Public Housing Agencies that serve Lake Stevens are the Housing Authority of Snohomish County and Everett Housing Authority. Mill Creek 2 The HUD funded Public Housing Agencies that serve Mill Creek are the Housing Authority of Snohomish County and Everett Housing Authority. Stanwood 7 The HUD funded Public Housing Agency that serves Stanwood is the Everett Housing Authority. Granite Falls 3 The HUD funded Public Housing Agency that serves Granite Falls is the Everett Housing Authority. Mountlake Terrace 3 The HUD funded Public Housing Agency that serves Mountlake Terrace is the Everett Housing Authority. Arlington 7 The HUD funded Public Housing Agency that serves Arlington is the Everett Housing Authority. Edmonds 2 The HUD funded Public Housing Agency that serves Edmonds is the Everett Housing Authority. Snohomish 3 The HUD funded Public Housing Agency that serves Snohomish is the Everett Housing Authority. Sultan 1 The HUD funded Public Housing Agency that serves Sultan is the Everett Housing Authority. Alderwood Manor 0 The HUD funded Public Housing Agency that serves Alderwood Manor is the Everett Housing Authority. Arlington Heights 0 The HUD funded Public Housing Agency that serves Arlington Heights is the Everett Housing Authority. Bothell East 0 The HUD funded Public Housing Agency that serves Bothell East is the Everett Housing Authority. Bothell West 0 The HUD funded Public Housing Agency that serves Bothell West is the Everett Housing Authority. Brier 0 The HUD funded Public Housing Agency that serves Brier is the Everett Housing Authority. Bryant 0 The HUD funded Public Housing Agency that serves Bryant is the Everett Housing Authority. Bunk Foss 0 The HUD funded Public Housing Agency that serves Bunk Foss is the Everett Housing Authority. Canyon Creek 0 The HUD funded Public Housing Agency that serves Canyon Creek is the Everett Housing Authority. Cathcart 0 The HUD funded Public Housing Agency that serves Cathcart is the Everett Housing Authority. Cavalero 0 The HUD funded Public Housing Agency that serves Cavalero is the Everett Housing Authority. Chain Lake 0 The HUD funded Public Housing Agency that serves Chain Lake is the Everett Housing Authority. Clearview 0 The HUD funded Public Housing Agency that serves Clearview is the Everett Housing Authority. Darrington 1 The HUD funded Public Housing Agency that serves Darrington is the Everett Housing Authority. Eastmont 0 The HUD funded Public Housing Agency that serves Eastmont is the Everett Housing Authority. Esperance 0 The HUD funded Public Housing Agency that serves Esperance is the Everett Housing Authority. Fobes Hill 0 The HUD funded Public Housing Agency that serves Fobes Hill is the Everett Housing Authority. Gold Bar 0 The HUD funded Public Housing Agency that serves Gold Bar is the Everett Housing Authority. Hat Island 0 The HUD funded Public Housing Agency that serves Hat Island is the Everett Housing Authority. High Bridge 0 The HUD funded Public Housing Agency that serves High Bridge is the Everett Housing Authority. Index 0 The HUD funded Public Housing Agency that serves Index is the Everett Housing Authority. Lake Bosworth 0 The HUD funded Public Housing Agency that serves Lake Bosworth is the Everett Housing Authority. Lake Cassidy 0 The HUD funded Public Housing Agency that serves Lake Cassidy is the Everett Housing Authority. Lake Ketchum 0 The HUD funded Public Housing Agency that serves Lake Ketchum is the Everett Housing Authority. Lake Roesiger 0 The HUD funded Public Housing Agency that serves Lake Roesiger is the Everett Housing Authority. Lake Stickney 0 The HUD funded Public Housing Agency that serves Lake Stickney is the Everett Housing Authority. Larch Way 0 The HUD funded Public Housing Agency that serves Larch Way is the Everett Housing Authority. Lochsloy 0 The HUD funded Public Housing Agency that serves Lochsloy is the Everett Housing Authority. Machias 0 The HUD funded Public Housing Agency that serves Machias is the Everett Housing Authority. Maltby 0 The HUD funded Public Housing Agency that serves Maltby is the Everett Housing Authority. Martha Lake 0 The HUD funded Public Housing Agency that serves Martha Lake is the Everett Housing Authority. May Creek 0 The HUD funded Public Housing Agency that serves May Creek is the Everett Housing Authority. Meadowdale 0 The HUD funded Public Housing Agency that serves Meadowdale is the Everett Housing Authority. Mill Creek East 0 The HUD funded Public Housing Agency that serves Mill Creek East is the Everett Housing Authority. Monroe North 0 The HUD funded Public Housing Agency that serves Monroe North is the Everett Housing Authority. Mukilteo 1 The HUD funded Public Housing Agency that serves Mukilteo is the Everett Housing Authority. North Lynnwood 0 The HUD funded Public Housing Agency that serves North Lynnwood is the Everett Housing Authority. North Marysville 0 The HUD funded Public Housing Agency that serves North Marysville is the Everett Housing Authority. North Sultan 0 The HUD funded Public Housing Agency that serves North Sultan is the Everett Housing Authority. Northwest Stanwood 0 The HUD funded Public Housing Agency that serves Northwest Stanwood is the Everett Housing Authority. Oso 0 The HUD funded Public Housing Agency that serves Oso is the Everett Housing Authority. Picnic Point 0 The HUD funded Public Housing Agency that serves Picnic Point is the Everett Housing Authority. Silvana 0 The HUD funded Public Housing Agency that serves Silvana is the Everett Housing Authority. Silver Firs 0 The HUD funded Public Housing Agency that serves Silver Firs is the Everett Housing Authority. Sisco Heights 0 The HUD funded Public Housing Agency that serves Sisco Heights is the Everett Housing Authority. Startup 0 The HUD funded Public Housing Agency that serves Startup is the Everett Housing Authority. Sunday Lake 0 The HUD funded Public Housing Agency that serves Sunday Lake is the Everett Housing Authority. Swede Heaven 0 The HUD funded Public Housing Agency that serves Swede Heaven is the Everett Housing Authority. Three Lakes 0 The HUD funded Public Housing Agency that serves Three Lakes is the Everett Housing Authority. Verlot 0 The HUD funded Public Housing Agency that serves Verlot is the Everett Housing Authority. Warm Beach 0 The HUD funded Public Housing Agency that serves Warm Beach is the Everett Housing Authority. Woods Creek 0 The HUD funded Public Housing Agency that serves Woods Creek is the Everett Housing Authority. Woodway 0 The HUD funded Public Housing Agency that serves Woodway is the Everett Housing Authority.